Katie and Benny were married on Oregon's Mt. Hood at the tail end of summer. Moody watercolor swathes and a compass-inspired logo paid tribute to their chosen Northwest venue and home. 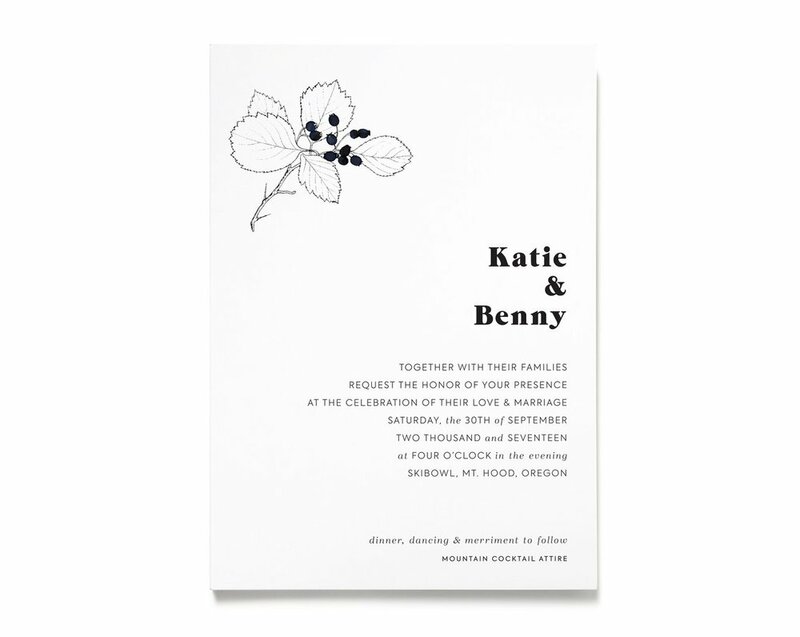 Deliverables: Invitation, insert, custom envelope liners, and custom logo.